My wife Betsy spent a few days in Duck Key in early November, approximately eight weeks after Hurricane Irma hit as a Category 4 storm with 130 mph sustained winds. It was interesting to see how the buildings held up. Roofs were slammed the hardest. There were plenty that had evidence of being hit with flying limbs, with dents and broken tiles, but most had been partially torn off by the wind. Once the roofing was peeled back from the edge–usually at a corner–the wind took it in big sheets. Most of the houses that were marked as condemned were missing sections of their roofs. Once the water got in, it was all over. Older roofs, regardless of the material–clay, asphalt, metal–had been torn up. 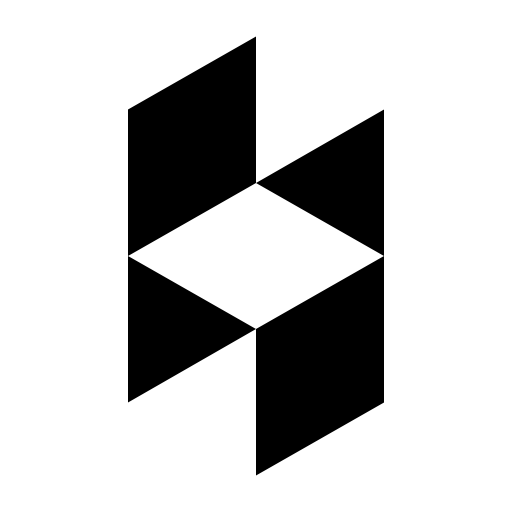 However–and this is huge–the newer roofs, also regardless of material, had minimal wind damage. Windows and doors appeared to have fared well. 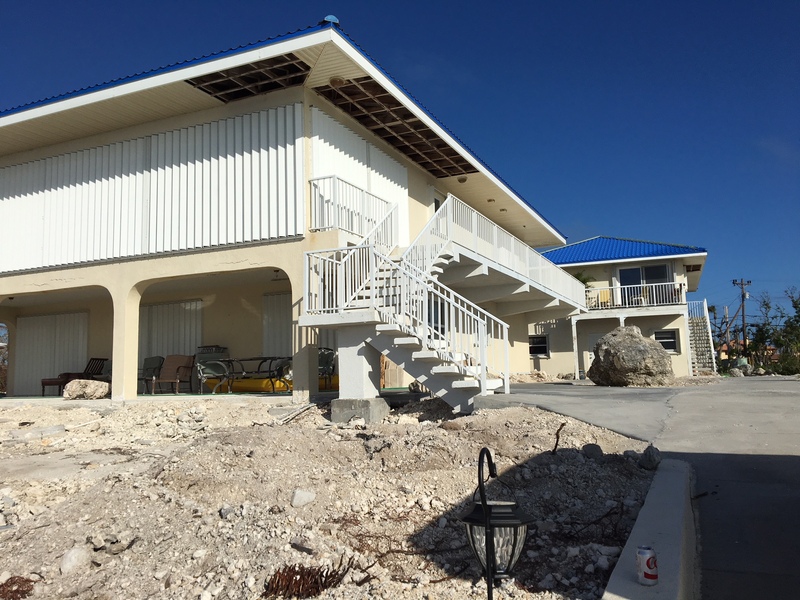 Virtually every building in Duck Key has folding hurricane shutters, but the big news was that the new homes built in compliance with the current code using hurricane-rated windows and doors had no damage without shutters–even right on the water. The storm surge washed out all of the landscaping, and only the palm trees survived intact. The biggest tree loss seemed to be the pines, but the hardwoods lost all of their limbs, leaving trunks with stubs. Betsy’s dad never saw a pine tree he didn’t want to cut down, and the tree damage vindicates his position. Keep your roof in excellent condition. Don’t put off repairs or a new roof. 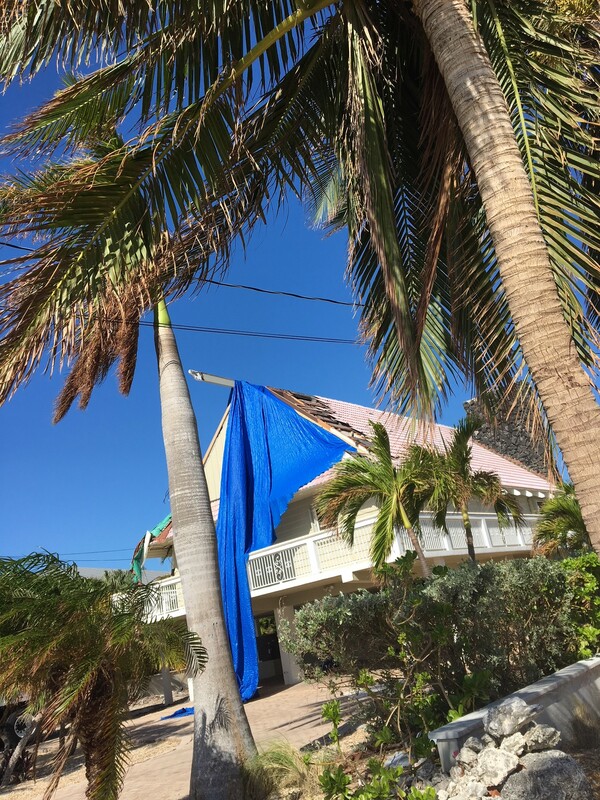 Hurricane-rated windows are expensive but they paid off in a big way in the Keys. If the code makes you use them, don’t complain. Have shutters ready if you don’t have them.